SAN DIEGO – The Pentagon’s Joint Multirole (JMR) investigation into a new generation of helicopters is highlighting the differences between what the Army and Navy need in terms of vertical lift aircraft, Navy and industry said last week. 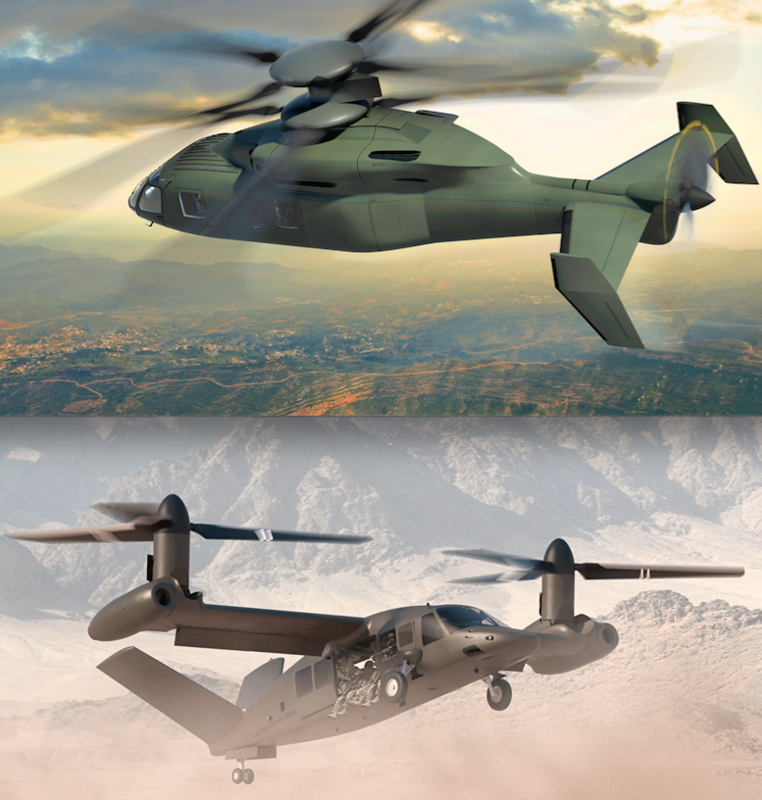 Now, all eyes are on the looming competition between Bell Helicopters and Lockheed Martin’s tilt-rotor V-280 Valor and Sikorsky and Boeing’s coaxial SB-1 Defiant concept to form the basis for replacing the Army’s Sikorsky UH-60 Blackhawk and Boeing AH-64 Apache attack helicopter starting in the 2030s. The JMR technology demonstration phase 1 – in which the Valor and Defiant are tasked with creating a flying prototype capable of speeds of 230 knots (265 mph) – will form the basis of the Future Vertical Lift program and replace up to 4,000 Blackhawks and Apaches. Test flights could happen as early as 2017. Both the Defiant and Valor concepts are designed for Army requirements – moving forces quickly to deliver troops and material as well providing close air support for forces with an attack variant. 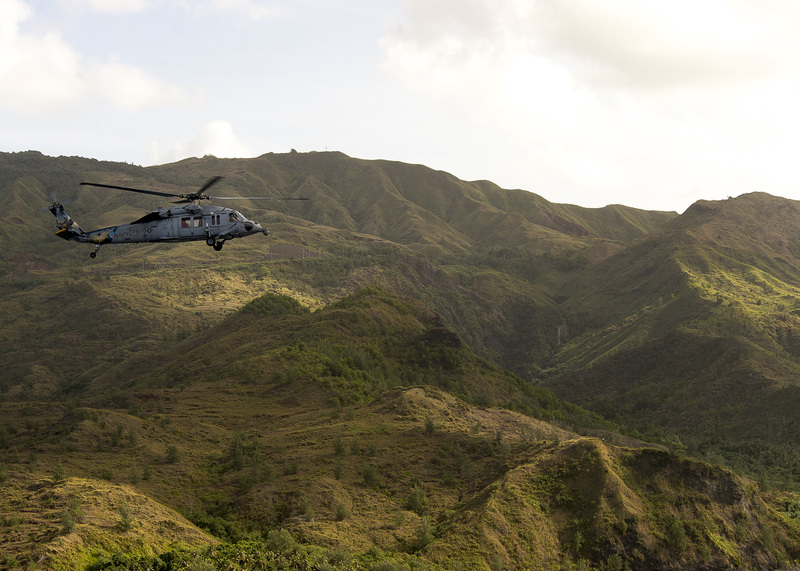 While the Navy and the Army are determined to build in as much commonality as they can in their future helo programs, the services use their current fleet of helicopters very differently, Chuck Deitchman, director of Navy requirements for Sikorsky (recently acquired by Lockheed Martin), told USNI News last week during West 2016. Artists’ concepts of the Sikorsky-Boeing SB-1 Defiant (above) and the Bell-Lockheed Martin V280 Valor (below). (Since the acquisition of Sikorsky by Lockheed, both companies said they would continue their teaming work on the JMR demonstrator with internal firewalls in place to prevent tainting the competition). “The Navy has very unique requirements that are different than the Army’s,” Deitchman said. The Navy’s current fleet of Sikorsky MH-60 Seahawks – MH-60 Romeo and MH-60 Sierra – operate from ships the size of the 3,000-ton Littoral Combat Ship to the 100,000-ton Nimitz-class carriers. In particular, the 60s are a key part of the weapons and sensor suite of the Navy’s surface combatants. Unlike their Army Blackhawk cousins, Navy helicopters spend more time scouting and hovering around their surface ships and don’t necessarily need the high-speed the tilt-rotor Valor and the coaxial Defiant around which they are designed. “If the Navy went with a next generation helicopter… I think you’ll see [an emphasis on] advanced power systems, advanced rotor systems and self-defense,” Deitchman said. Still, the work of the JMR and the FVL programs will do much the Navy’s next helo. “Navy is actively participating. The requirements are known, they’re part of the future vertical lift team and certainly — at a minimum — the architecture, some of the systems that are common with the Army, the Navy would like to harvest those,” Deitchman said. What platform the Navy ultimately decides on to replace the MH-60s hinges on the findings of the soon-to-be completed helicopter master plan and a pending service life assessment program (SLAP), said Capt. Craig Grubb with the Naval Air Systems Command’s H-60 Multi-Mission Helicopters Program Office (PMA-299) last week. “The follow on aircraft to the current aircraft is going to be out there in the 2030 – 2040 timeframe – that’s contingent on how the service life assessment goes,” he said. Once NAVAIR knows what the life expectancy on its current aircraft they’ll start on their own acquisition path with an eye toward the Army’s final decision. “It’s not a program, at least as of today, but it’s an interest on where we can do things where we have commonality and leverage systems, software airframe engines, drive train components going forward,” Grubb said.